As far as I know, at least 90% of the all-encompassing humanity is a Red Hot Chili Peppers fan. M y younger brother’s band, included to a degree, performs one of their older hit song, “I Could Have Lied” with a slightly metal flair. I honestly was really happy to film this. Considering their age and having just recently started the band, this song is actually really well performed, and over spring break I couldn’t get it out of my head. Well, today I present to you another live-action music video from STRIKE A POSE!!! 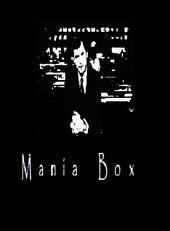 Films, in association with Mania Box. It took long enough, but it seems like a company has finally come up with something original after the last 8 years or so of super-hero origin stories gone wild. We’ve had Daredevil, we’ve had Punisher, Spidey, the Xmen, we’ve even gotten a new Batman after just a 12 year hiatus (from reasonable films, at least). I’m getting a little sick of these “this is how it happened” stories. When Batman 89 came out in…1989…it jumped right into the middle of his career, pre-Rogues gallery, and jumped into the important element that makes Batman so memorable: his villains. Well it looks like Warner Bros, with the hand of David Goyer (Blade Trinity…among other delightful trainwrecks), will be looking at a different set of wheels, rather than reinventing them for a change. On Saturday, fantasy/scifi site Wizard Entertainment posted a link about a film David Goyer wishes to get working on right away, starring that Archery-based alternate to the Dark Knight, The Green Arrow. Funny Vid, and recent news. This isn’t one of our vids, but I found it on MEGA 64 and figured it’d be fun to put up on the site. It has some nifty editing tricks, and over all is a pretty damned funny cross reference between a really old movie and a movie that has gotten really really old. We’ve put up three of our own videos in the last two weeks though, and everyone out there in net land should still check them out! If you need direction, simply go to the Categories and click STRIKE A POSE!!! FILMS. That’ll take you to a blog link of all posts about the films we’ve done, and you can just check them out there through individual posts. Well, Happy Easter everyone. I suppose a Matrix reference is somewhat appropriate, seeing how Neo died on a cross for all our robot sins and destroyed Hugo Weaving for…well whatever purpose. It’s not really important. 0101100101011101 Waaah? Ok, so its not exactly a traditional music video, its more of just a band montage of them playing…ok in that tradition it’s not a montage either. But in any case, this only took about an hour to edit, and it’s footage of my brother and his band, MANIA BOX, with their wacky song “MICROWAVE MAN.” I’ll put up the lyrics into this post at some point possibly. Here’s the story: Over spring break I went with my girlfriend on a long drive to Florida. I told my brother we should film something together while I was down there, so we ended up making a couple of videos of his band. One will be a traditional music video, but two are like moving art pieces based around their playing. The first one is sorta simple- just pan/scan movements, but the second one, which will be up next week at the latest- is something I think you guys and girls out there will enjoy. So, one of my favorite hobbies back in the day before film took over my life completely was video gaming. Like every child of the 90’s I just wanted to break through Koopa Castle, save the princess, and raise a couple of pokemon. When I grew up from gaming, only a few select series still stuck with me. Don’t get me wrong- gaming will always be a big part of my life, but at one point I considered making it a career. Thankfully, a C++ class proved I was NO MATCH for such a world. One of those series aforementioned was DEVIL MAY CRY. A series where the first game revolutionized 3D action forever, the second game nearly sunk the franchise completely, and the third game was overwhelmed on the radar by some stupid game about an angry greek Vin Diesel and his pasty white skin, complete with fish-swords. Boo freakin’ hoo right? Well, DEVIL MAY CRY has always been a HUGE inspiration to me- it’s one of the reasons the company is called STRIKE A POSE!!! Films. Dante, the game’s lead character, revolutionized cool with his insane amount of badassness. It all just came down to what he would do before the bossfights: he would Strike a Pose!!! in preparation! Well, I always wanted to make some sort of video, and given the game’s hardrock/metal background, it was obvious what genre of song I needed. However, I never found one who’s lyrics matched the themes of the game. Then I borrowed a cd, Breaking Benjamin’s Phobia and I heard the song “Had Enough.” A song about defeating someone who’s caused you pain, about ending their selfishness and taking responsibility for someone who has wronged you or someone you care for. It is in essence, practically a theme song for the game.